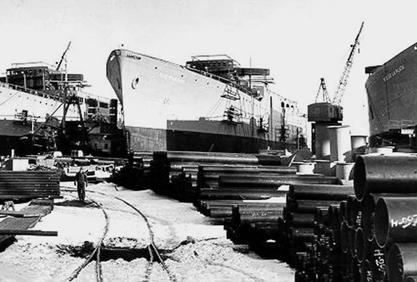 The vessel was originally named Rio de la Plata and launched in 1941 for the Moore-McCormick shipping line in the USA. During WW2 the ship saw active service in both the US Navy as USS Charger, and the Royal Navy as HMS Charger. 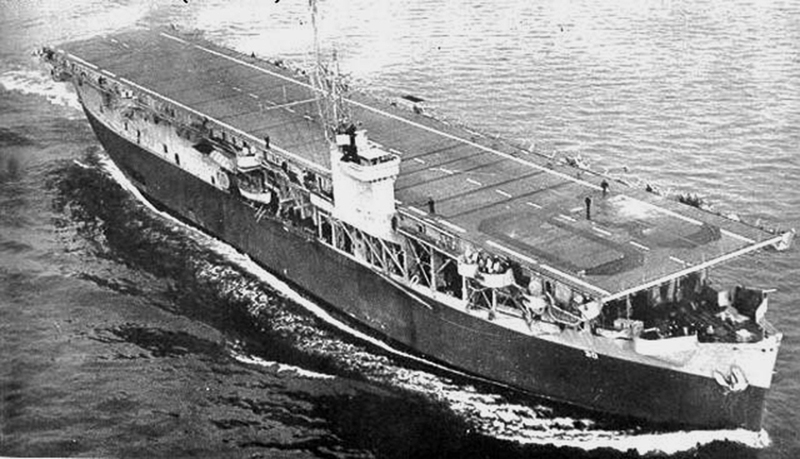 Alterations to the upper superstructure enabled the ship to be converted into a basic aircraft carrier. In 1949 the ship was bought by the Alvion Steamship Corporation and renamed Fairsea. She was then rebuilt as a passenger ship with a capacity of 1800 people. 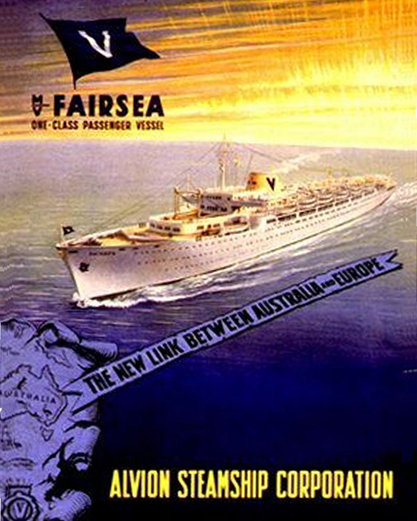 In 1955 Fairsea was chartered to carry British Migrants. She left Southampton bound for Australia for the first time in December 1955 and contined in this role for next 18 months. Over the next five years the ship was refitted twice which upgraded the rather austere accommodation. In 1969 an engine room fire damaged the vessel. It was considered uneconomical to repair and the Fairsea was sold to ship breakers in Italy.